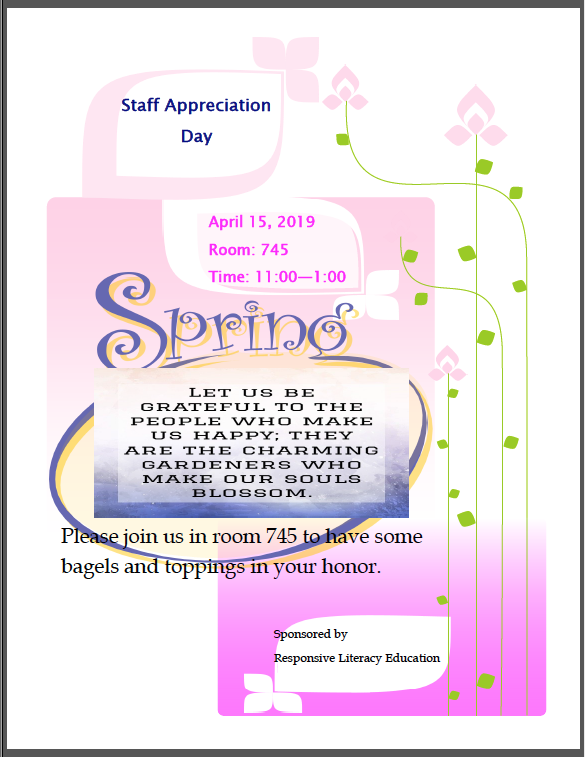 Staff Appreciation Day – April 15 – SEHD Impact! Please join us in room 745 to have some bagels and toppings in your honor! Campus Events & Services, Colleagues, News. permalink.